CaliforniaChoice just keeps getting better. 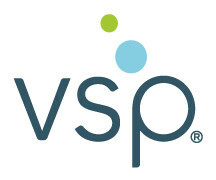 They’re now quoting VSP Vision Care for coverage effective April 1, 2016. It’s a great addition to their vision portfolio. VSP offers your clients:Eye exams: A low $10 copay on an in-network exam or up to $45 reimbursement for care at an out-of-network provider (limit of one exam every 12 months)Frames: Covered in full in network – up to $180 retail value – or up to $70 reimbursement out of network (limit one set of frames every 12 months)Lenses: Your choice of single vision, bifocal, or trifocal lenses for just $10 in network or reimbursement of up to $30, $50, or $65 respectively out of network (available every 12 months)Contact Lenses: $10 copay in network for contacts in lieu of frames and lenses up to $180 retail or up to $105 reimbursement out of network up to $180 retail (limit of one purchase every 12 months)Now your clients have more voluntary eye care choices: VSP and EyeMed. CaliforniaChoice just keeps getting better! Sutter Health Plus has joined their roster of premier health plan options for groups in Northern California. Sutter Health Plus coverage was effective 12/1/15. The addition of Sutter Health Plus gives your clients 12 new plan options, including: 2 Bronze tier plans	4 Silver tier plans	3 Gold tier plans	3 Platinum tier plans Sutter Health Plus currently offers its competitively priced products in the greater Central Valley, Sacramento and Bay Area. CaliforniaChoice 51-100 has announced a bonus on all new groups over 51 lives in 2016. On top of 5% commission for medically enrolled groups, you will earn a $50 per employee bonus! Bonus Rules Payable for groups with January 1, 2016 through April 1, 2016 effective dates. $50 per employee per group for new CaliforniaChoice groups with 51 or more employees enrolled in Medical. CaliforniaChoice has announced rate adjustments for January 1, 2016 effective dates with Medical benefit changes. RATES Medical: varies by carrier, plan and region Ancillary: RATE PASS PLANS & BENEFITS Medical New plans:	Aetna Bronze HMO B $50/$75	Health Net Gold HSP A $3/$15	Health Net Silver HSP A $30/$45	Health Net Bronze HSP A $45/$60	Discontinued plans:	Anthem Gold HMO B $30/$60	Kaiser Silver HMO HSA A $1500	Kaiser Bronze HMO HSA A $3500	All Health Net PPOs	All plans will have benefit changes except for:	Aetna Bronze HMO A	Sharp Platinum HMO A $15/$20	Sharp Platinum HMO B $15/$30	Sharp Gold HMO B $25/$60	Sharp Silver HMO A $30/$60	Sharp Silver HMO B $35/$75	Sharp Bronze HMO HSA C $4500 Sutter Health Plus Gold HMO A $30/$30	Plan summaries are pending. Big news! With the Affordable Care Act (ACA) changing the definition of Small Group, CHOICE Administrators will now offer CaliforniaChoice to groups of up to 100 employees effective January 1, 2016. With the change in Small Group definition, CaliforniaChoice has also decided to focus efforts on their core business, the Small Group multi-carrier private exchange. CaliforniaChoice just keeps getting better! Sutter Health Plus has joined their roster of premier health plan options for groups in Northern California. Sutter Health Plus coverage is effective 12/1/15. The addition of Sutter Health Plus gives your clients 12 new plan options, including: 2 Bronze tier plans 4 Silver tier plans 3 Gold tier plans 3 Platinum tier plans Sutter Health Plus currently offers its competitively priced products in the greater Central Valley, Sacramento and Bay Area. CHOICE Administrators announced today a new agreement with Sutter Health Plus that will add 12 new health plan options for groups enrolling in CaliforniaChoice, the Small Group private exchange that has been serving Californians for nearly 20 years. Quoting for brokers will begin September 15, 2015, for coverage effective December 1, 2015 or later for groups in the Greater Sacramento, Central Valley, and Sonoma County areas. CaliforniaChoice has announced rate adjustments for October 1, 2015 and November 1, 2015 effective dates with minor benefit and underwriting changes. All rates are available for quoting!MEDICALCaliforniaChoice received a RATE PASS from Aetna, Anthem Blue Cross, Kaiser Permanente, and Western Health Advantage (WHA). MEDICAL PLAN UPDATES New Plan: UnitedHealthcare Silver HMO DDiscontinued Plan: UnitedHealthcare Bronze HMO CSelect HMO Medical plans have been removed from Region 8 (San Mateo County). Effective July 1, 2015, all CaliforniaChoice members currently enrolled in Aetna will be mailed a new member ID card with a new Medical identification (ID) number, as they come up for renewal. Current member ID cards will no longer be active or accepted by their Primary Care Physicians and should be discarded.